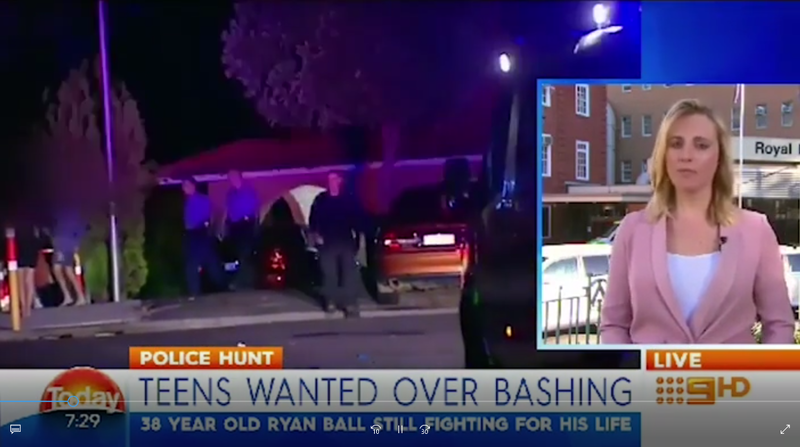 THE last thing Ryan Ball would have expected when he agreed to host a teenage party was to be bashed to within an inch of his life. The 38-year-old Perth man is in a critical condition in hospital after a shocking attack that has left him with head wounds so severe doctors have placed him in an induced coma to give him the best shot at survival. Exactly what caused the injury hasn’t been confirmed — but a sickening headbutt could be to blame. “It is pretty horrendous, to tell you the truth. The doctors have said that they have put him in an induced coma … he has got a fractured skull and bleeding on the brain and, yeah, he looks pretty messed up,” Leon Ball said of his brother’s desperate condition. It was never supposed to be like this. Mr Ball took all the right steps before the party at his home in the suburb of Padbury. He told police what was happening and sent a polite note to the neighbours, and even included his number on it for them to call if they had any issues. “This is a courtesy letter to inform you that we are having a party tonight,” the note said. About 100 guests were expected and their names were at the door.